There is no better way to accompany lunch or dinner than a glass of good wine. Whether it is a friendly meal, either a romantic dinner or business lunch, a glass of wine always helps things to flow more pleasantly and sometimes brings even more highly the dish tastes. 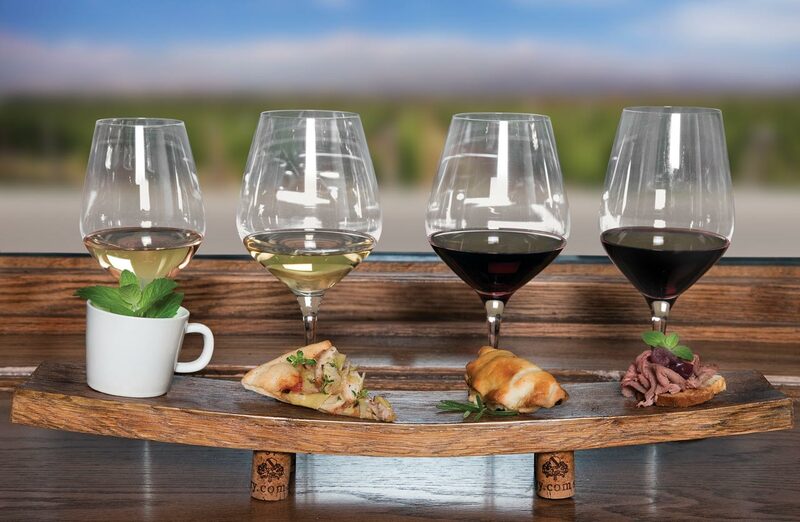 Here then are some tips to always choose the right wine to accompany your dish. It is generally known that white wine best matches white meat, and red wine best matches red meat. But let’s see a more deeply the secrets of wine pairing. We start with the wines that are either drunk alone or are excellent to start the night, called aperitifs. Our choices in this case usually contain balanced and not audible tasty wines which are usually light in alcohol and sometimes even aromatic. A glass Moshofilero or Pinot Grigio on white wines and a glass of a good red Agiorgitiko or Merlot seem ideal choices to start! If we accompany our wine with a variety of yellow cheese, we choose ripe red wines like a good Merlot, Syrah or Agiorgitiko, while soft cheeses are being served with a glass of a good white wine or rose. Many are however those who choose a light red. When we decide to enjoy cold cuts, we choose a light red medium body, like a Merlot, a Cabernet or Syrah, a Xinomavro, or even a midrange Aghiorgitiko. With green vegetables we match white wines with medium body and good acidity as Robola or Assyrtiko, while with land vegetables like mushrooms etc we choose white full-bodied wines or red and fruity wines. With a neat chicken or turkey fillet, for example, is ideal a soft white wines such as Chardonnay or a light red like a Merlot or Agiorgitiko. Many prefer it and what pairs perfectly is a full Agiorgitiko, a Cabernet Sauvignon or a dry Mavrodaphne. We ideally pair with strong, red wines such as Cabernet, Merlot, or Xinomavro. Creamy desserts containing fruit usually pair well with sweet sparkling wines as a Moscato d ‘Asti, or with not strong whites. As for chocolate lovers, ideally combine chocolate with sweet, red wines such as a good Mavrodaphne. Tip: The champagne must never ever be associated with desserts. Liston Cafe Restaurant is situated in a historical building in Spianada. A cosy place to enjoy, coffee, brunch, lunch, dinner and more.